F.A.I.T.H. - Paula Flint - F.A.I.T.H. Paula Flint is a Life Coach who helps men and women who are facing difficult challenges in their lives—physically, mentally, emotionally, and spiritually. A grandmother now, Paula opened her office in 2011 to help people understand and accept that life sometimes offers them challenges that initially feel insurmountable. She teaches that patience and a little help from someone who has been there and is not afraid to share her own experiences allow her clients not only to overcome the challenges but to triumph. 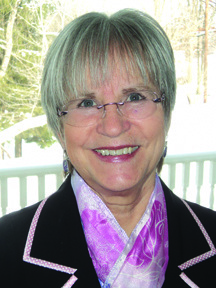 Prior to opening her office at the Heal Your Life Center in Bridgeport, West Virginia, Paula graduated with a Master’s in Counseling Psychology and became a member of the ECK Clergy. Today Paula offers a wide range of programs and services from individual and group sessions to seminars. Paula is currently working on her book Life Coach: Coached by Life. She deeply dissects her own triumphs and defeats and her life-long search for spiritual awareness. She describes how, from before birth, life has been her personal coach, a conscious companion.